It is becoming well known that hours of sitting is not healthy. There have been studies that indicate – sitting is the new smoking and have coined the term “Sitting Disease” to explain all the negative effects created by long-term sitting. There are exercises you can do throughout your day to help combat this and there are things you can do at your desk too. One of the problems with sitting at your desk for hours is a reduction in your metabolism. 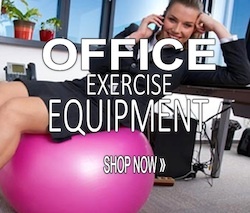 Among other things, this means you don’t burn calories like you would if you weren’t stuck at your desk all day. With a lower metabolism you will gain weight faster than ever before. 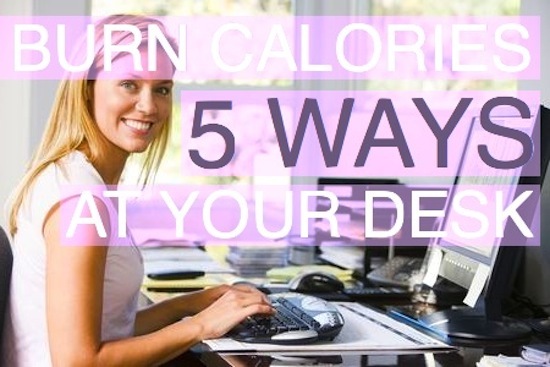 Increasing your calorie burning power while still holding down your desk job can be done by following five simple steps. Not the pill, not the over-processed powered stuff – but – the REAL green tea was revealed to boost the metabolism through thermogenesis. Just the simple step of swapping out a cup of coffee for a cup of freshly brewed organic loose-leaf green tea has shown to increase energy expenditure rate of up to 4.5%. The study that produced these amazing results was written up in the American Journal of Clinical Nutrition as performed at the University of Geneva in Switzerland. 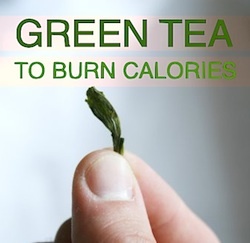 For years green tea has been known for its healthy effects on the human mind and body. With it’s natural antioxidants and other attributes that have shows everything from lowering cholesterol, improving blood flow to reduce blood pressure and reducing the risk of congestive heart failure. Now with newer studies showing that green tea also has the ability to increase fat oxidation – what’s not to love about green tea? Lunch time should be a good meal. To spread your calories throughout your day for optimum energy and alertness you need to have a good serving of protein, carbs, and high nutrient sources early in the day. Skimping calories on breakfast and lunch can slow metabolism. Naturally revving up the fat-burning machine can be done by feeding it well all day. Make a nice healthy BIG lunch for work and then break it up into three equal portions. Have one during morning break, one for lunch, and one for the afternoon break. This way your body gets a chance to work through the nutrients and calories as well as you don’t have to worry about excessive snacking. *HINT* You can have your sandwich wrap and cut it into finger food for snacking on. There have been several studies about the correlation between a healthy metabolism and vitamin D deficiency. In a more recent report by the Fred Hutch Cancer Research Center’s Public Health Sciences Division, women who were given vitamin D had lost 60% more weight over the 12 month study than those who took a placebo. (19 lbs vs 12 lbs). 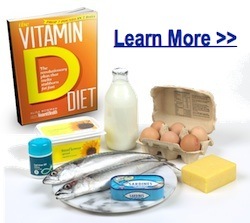 You do need to be careful with vitamin D intake as it does have maximum levels of toxicity. According to Anne McTiernam, M.D., Ph.D., the results suggest that a woman desiring to lose weight may want to have their vitamin D levels checked to see if they might benefit from a vitamin D supplement. Other weight loss benefits recorded in the study showed a decrease in the C-reactive protein. This is a marker for inflammation. The importance of this lies in the knowledge that an overweight person is in a chronic state of inflammation. It is this inflammation in turn that is considered to increase such chronic diseases as cancer and diabetes. Lots of cooking and salad dressings use canola or even the more healthy olive oils. Olive oil may be a healthy fat but it’s not good for cooking at high temperatures and it doesn’t speed up the metabolism like coconut oil can. Sure coconut oil might be fat and fat has 9 calories per gram – but not all fat is the same. Nor is it metabolized the same way. Coconut oil is just… different. It is made almost completely of medium-chain Fatty Acids. Most other foods are primarily long-chain fatty acids. This means that coconut oil is metabolized differently. When you ingest it, it leaves the digestive tract and goes to the liver. Often being used right away as an energy source. Meaning – it isn’t getting stored on your hips. Coconut oil also has thermogenic properties so it actually boosts metabolism by increasing energy expenditure. Another great property of these medium-chain fatty acids is they make you feel fuller faster than their long-chain cousins. This naturally reduces calorie intake. They also help you feel fuller longer. There are so many more good things to say about natural coconut oil. High stress levels are OK only for a short duration. A ‘close call’ with a traffic accident or similar will increase your heart-rate and elevate your awareness so you can get to safety. What isn’t healthy is long-term stress. Hating your job, dealing with difficult customers, being harassed at work by your boss or co-workers isn’t healthy. Being stuck at your desk and constantly stressed out can elevate your stress hormone called cortisol. Cortisol can even diminish other hormones like testosterone which can reduce your libido and lower muscle healing properties. Without healthy muscles the metabolism will decline overall. Cortisol also will age you quicker by robbing you of DHEA which is the anti-aging hormone and responsible for burning off stored fat. 1. Sit up straight. Proper and proud posture actually communicates to your body that you are positioned for power. A feeling of being more in control of your environment can reduce stress. 2. Try to avoid interruptions. Sporadically arriving emails and ringing phones interrupt the daily work-flow. If you have deadlines for projects and are constantly battling the inbox it might be time to do something about it. No one needs to know that you shut the ringer off your phone or don’t have your email open all day long. Setting out blocks of time to return calls and emails can help streamline project tasks and reduce the stress of unexpected requests. 3. Deep breathing. Take a moment, sit up straight, close your eyes, breathe deeply into your lungs through your nose – pause – then slowly breathe out of your mouth. Do this a few times and feel the stress melt away. 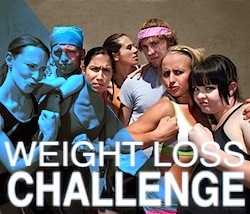 Reduce the stress, reduce the cortisol, improve your fat burning. Also check out how water can help you melt off the extra fat.